On September 21, about 35 employees of the University of Virginia participated in the United Way Day of Caring to reroute part of the trail immediately north of Hydraulic Road. 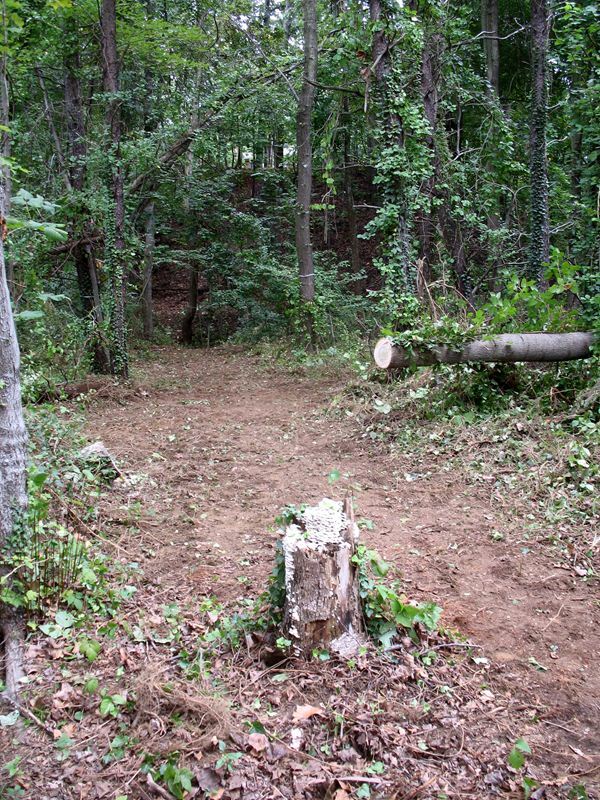 This section of the trail needed to be moved to make way for the Meadow Creek restoration project set to begin in December. A City crew came through a few days later to cut some of the larger logs that needed to be cleared, and on October 8, the monthly RTF work party finished the final section and put up new trail markers. It was an incredible amount of work, and the trail is now outside the future construction zone.